I must first go on record to state quite categorically that I have no affiliation to any political party and am not funded nor encouraged by any left-wing group centred on Auckland. While N.Z.T.C.A. has official Government recognition, (the Minister of Agriculture and the Minister in Charge of D.S.I.R. respectively were guest speakers at our last two National Conferences) we don’t seem to have gone very far in gaining additional Government assistance on tree crops. Several scientists with D.S.I.R. officially work part-time on tree crops research — I think it adds up to the equivalent of 1½ full-time scientists. Is this adequate when you consider the terrific potential of tree crops in the future (integration) of our agriculture, horticulture and silviculture? I do appreciate that these scientists, most of whom occupy positions of prominence in our Association, take a very active part in furthering the interest of tree crops to an extent probably beyond that of their allotted official duties. As a result of a suggestion made by Honourable Duncan MacIntyre at our Christchurch Conference last year, our National Executive prepared a detailed and comprehensive submission (entitled “The future development and organisation of tree crop agriculture in New Zealand”) and presented it to the Minister of Agriculture in September last year. The submission acknowledged the valuable assistance, on a part time basis, of the too few scientists allocated to work on tree crop research. The essence of the submission was to request Government providing one specialist co-ordinator in tree crops to work initially with nut trees. “It is considered that a minimum sum of $25,000 annually is required from Government to service the position adequately including salary, travel and other ancillary facilities.” Now that doesn’t seem very much to ask for, does it? (We spend something like 3 million dollars each year importing nuts). But — we still haven’t got our specialist co-ordinator. I have no figures to quote but I would imagine that literally dozens of research scientists and support staff, and many hundreds of thousands of dollars are allocated each year for research into our traditional farming fields of meat, dairy products and wool. This research has in the past resulted in our highly efficient modern farming techniques — but how much further can we go from there? It would not appear that the spending of a million dollars in research will produce an extra kg of meat on every cattle-beast, an extra litre of milk from every dairy cow, or an extra 500 g of wool off every sheep’s back. Is it perhaps time that some of our research work be diverted to the next logical step in our farming — two tier farming? New Zealand’s traditional marketing methods make me wonder. Most industries produce and manufacture export items to meet an overseas need or demand. However, Kiwis (which as everyone knows are short-sighted birds that work in the dark) seem to produce a product and then try to manufacture a demand for that product. I think our best effort to date must be our efforts to sell mutton to our Asian neighbours. I understand that to most Asians, mutton has an offensive odour and a rather disagreeable taste. Never mind, we are apparently succeeding in training these people to eat mutton. After poultry, pork would be the favourite Asian meat. How much pork do we export to Asia? I haven’t been able to find any figures for pork exports. Why don’t we export pork? Any of you who have kept a pig may think — “fat chance of that with pigmeal and pellets at $8 per bag”. But why should it cost anything to feed pigs? Why not plant second rate land in fodder and fruit trees for porcine self-service cafeterias. Could we run more than 15 pigs/ha with pasture over-planted with cropping trees? Would we make more in export earnings from sales of fat pigs to Asia than in sales of fat lambs? What can you do about all this? Well — this is election year. For a few months in every third year our politicians are suddenly very interested in what their constituents feel and think. At top level our Association Executive is still pressing for Government research assistance for tree crops. Just as much, and possibly more can be done (democracy is largely governed by numbers) by grass-roots members of the Association making sure that they discuss tree crops with every member and potential member of Parliament. It is our job to ensure that all our politicians know about tree crops and recognise their potential in our agricultural economy. 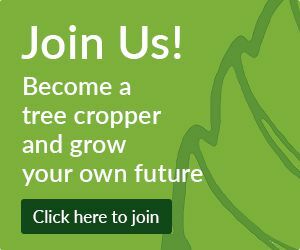 Make tree crops a political platform! There are over 1000 members of our Association and only 90 MPs. If every member contacts even just one politician ….. Many of our members are doing valuable trial and experimental work themselves, but this may largely be wasted unless the work is properly recorded, researched and evaluated. As I[is_user_logged_in]an[/is_user_logged_in] H[is_user_logged_in]owat[/is_user_logged_in] mentions the lack of progress in obtaining Government assistance with research on tree crops printed below are 2 letters from the Minister of Agriculture concerning the submissions made to him by the N.Z.T.C.A. Dear Mr. D[is_user_logged_in]avies[/is_user_logged_in] The points raised by your delegation at the meeting in my office on December 14 1977 have now been fully considered. In view of present economic climate I cannot concede to the request of your Association for minimum Government support of $25,000 annually, to enable you to employ a specialist co-ordinator who would initially concentrate on nut crops. In addition, because of the restrictions imposed on Government expenditure, my Ministry is not in a position to appoint a specialist advisory officer to this role. I made it clear to your deputation my interest in the development of horticultural crops as a means of earning valuable overseas exchange and/or reducing imports. However, there are a number of horticultural crops that show greater promise of improving the national economy in the shorter term at least, that those that come within the scope of interest of your Association, and obviously must receive priority. This of course in no way detracts from the valuable contribution that your Association is making. I am informed that research in nut crops is receiving a considerable amount of attention by the Department of Scientific and Industrial Research and this activity will undoubtedly continue. Here again priority in the allocation of research resources must be considered. 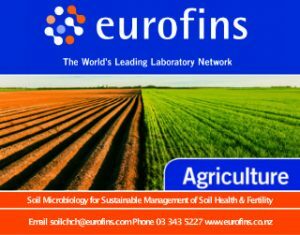 As with other horticultural crops specialist advisory officers act in a liaison role between research and district advisory officers. If agreeable, I am prepared to arrange for a Christchurch based Officer to maintain close contact with you, and distribute information of interest to Advisory Services Division staff throughout New Zealand. [is_user_logged_in]Duncan MacIntyre[/is_user_logged_in] MINISTER OF AGRICULTURE. This is in reply to your letter of June 23 1978. I am arranging for my Ministry to appoint a Christchurch based officer of the Advisory Services Division to maintain close contact with you and disseminate information. You will be advised of the officer appointed in the near future. I note that several branches of your Association would appreciate greater involvement of Advisory services Division and other Ministry Officers in the activities of your Association. I shall arrange to bring this to the attention of the appropriate staff. Source: The Journal of the New Zealand Tree Crops Association, Volume 3 Number 2. October 1978. Yes — For several years we had government assistance to further tree crops interests, with the attendant research interests and investment possibilities thus attracted! what might be the agenda of certain NZTCA officials who strive to prevent politics being mentioned, especially on this web site; and (for alluding to the obvious role current political attitudes play in hobbling non-corporate tree crop investment) as a primary excuse to unseat the long-serving web manager?